I don't think I need to say anything about the excellent artwork of Greg Capullo and Danny Miki after sharing this image. I want this image as a poster. 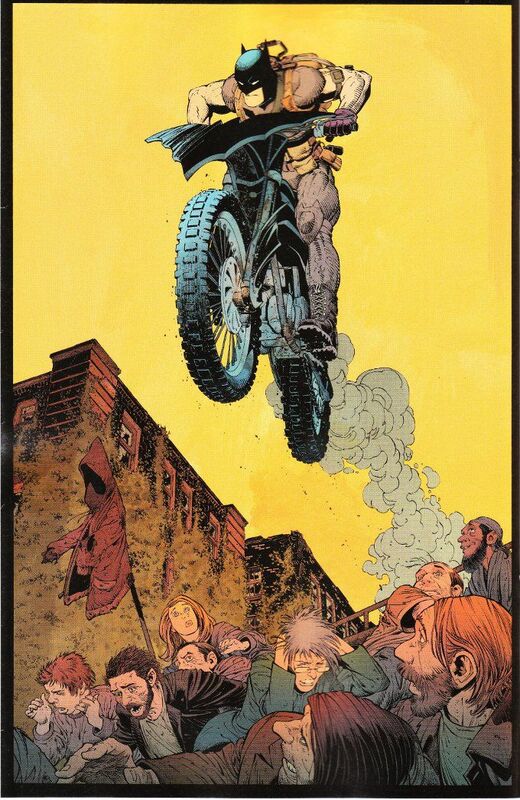 Hell, I want a Souped-Up BMX Batman action figure based on this scene. In all seriousness, this is one of the best Batman books in years and you're doing yourself a disservice if you aren't reading it. 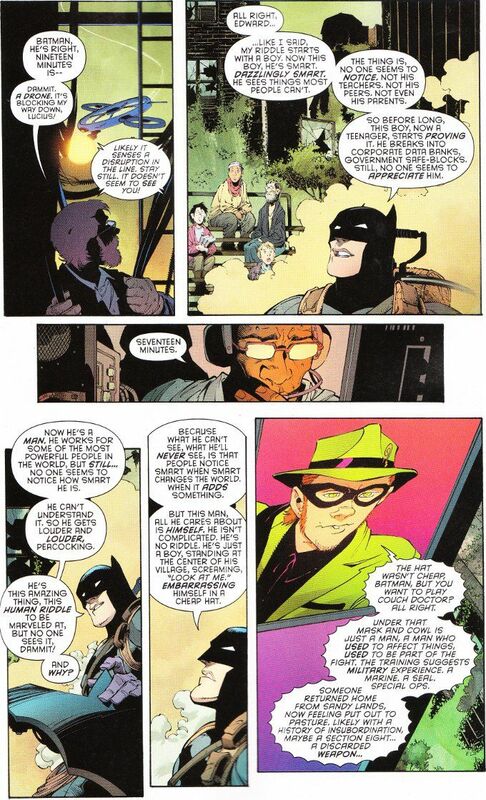 Scott Snyder has restored The Riddler to his status as a major player after years of being a bad joke worthy of The Joker. More, Batman is honestly having to struggle against an opponent after years of being depicted as the perfect strategist who sees everything coming. That is a far more interesting character to read about for what my money is worth. And as you can see, the artwork is damn good.